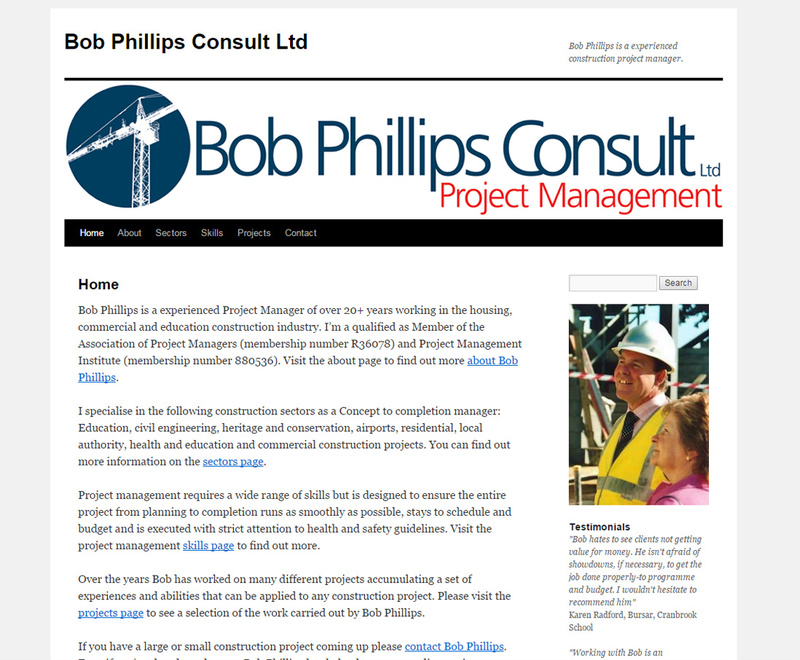 Bob Phillips is a experienced Project Manager of over 20+ years working in the housing, commercial and education construction industry. He’s qualified as Member of the Association of Project Managers and Project Management Institute. I specialise in the following construction sectors as a Concept to completion manager: Education, civil engineering, heritage and conservation, airports, residential, local authority, health and education and commercial construction projects. Based in Goudhust in Kent he covers the local area as well as nearby Sussex and London. 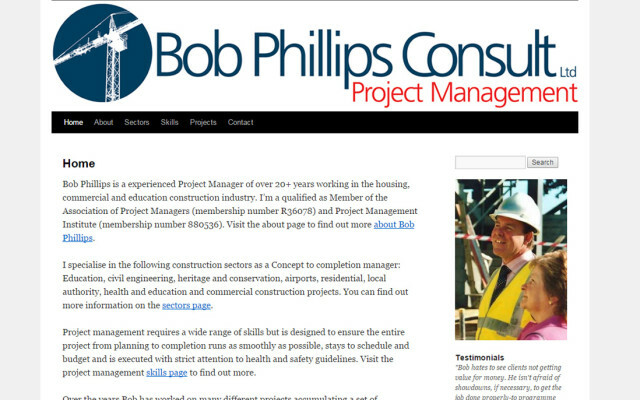 You can see more on the new Bob Phillips Consult website. SEO Sauce helped with a complete website redesign in a professional and helpful manner. All the jargon was explained in an easy to understand fashion and the new website is showing improvements in key search terms.